What happens when the weather outside hits minus freezing? You go TEFL down south to work on your tan! January is the best time of the year to apply for jobs in South America because the school year starts at the end of February. A university degree is necessary to get the work permit, and a TESOL certificate of 100+ hours is required. Most language schools cater to young learners so it is highly recommended to get the TESOL certification package with the TEYL course. Australia is also a popular TEFL destination because they pay well, the weather is nice all year round, and the country offers a great balance of comfort, order, and adventure. Teachers must hold an advanced TESOL certificate such as TESL Canada, Trinity CertTESOL, or CELTA, and teaching experience is preferred. https://tefl-jobs.ontesol.com/wp-content/uploads/2015/03/ontesol-logo1-300x137.jpg 0 0 admin https://tefl-jobs.ontesol.com/wp-content/uploads/2015/03/ontesol-logo1-300x137.jpg admin2014-12-11 10:31:562015-06-19 17:05:52TEFL Summer! 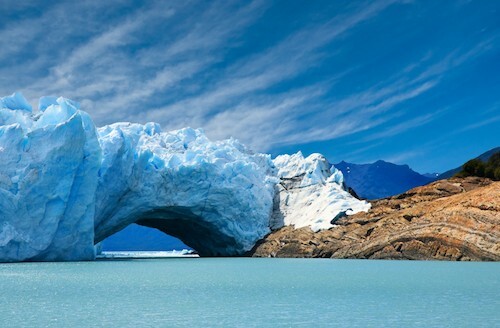 If you are teaching English in Argentina, you have to visit the Perito Moreno Glacier, which is located in the province of Santa Cruz. Visit our TESOL Jobs page to learn more about the requirements and conditions for teaching English in Argentina. 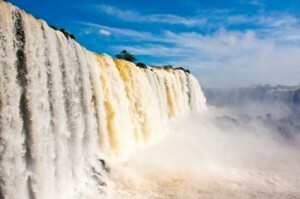 The Iguazu Falls marks the border between Argentina, Brazil, and Paraguay. The main fall, known as the Devil’s Throat, is 82 meters high and 150 meters wide. Its immense beauty is magnified by approximately 200 smaller waterfalls that surround the u-shaped chasm and the abundant sub-tropical vegetation that remains protected as a UNESCO World Heritage Site. Note that these beautiful waterfalls are situated in a vast natural park. If you are teaching English in Argentina, the province of Misiones is a few hours by plane from the major TESOL cities located in the provinces of Buenos Aires, Cordoba, and Mendoza. If you are in Brazil, the closest cities with a large TESOL industry are Curitiba, Rio De Janeiro, and Sao Paolo. 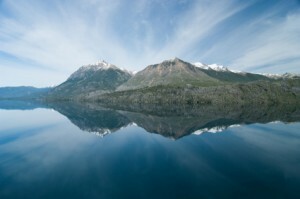 On the shoreline of Lago Nahuel Huapi, Bariloche is a gorgeous and scenic city.. Using local hardwoods and unique stone construction, Bariloche is popular for its attractive alpine architecture. With a blend of summer and winter activities such as trout-fishing, hill-hiking, horse-riding, and skiing on the picturesque snow-capped peaks of López, Nireco and Cerros Catedral, this wonderful city in the Patagonia region welcomes tens of thousands of tourist every year. Bariloche is considered as the ‘chocolate’ capital of Argentina owing to its overwhelming amount of fresh chocolate displays prevalent downtown. The only competitor to this fervour seems to be replicas of gnomes of all sizes and appearances hanging on store windows. Tourists can also enjoy a great BBQ over a glass of red wine while looking at the beautiful scenery. You must visit Bariloche if you are teaching English in Argentina. An accredited TESOL certificate of at least 100 hours is required to teach in Argentina. Advanced TESOL certification such as TESL Canada, Trinity CertTESOL, or equivalent is highly recommended. Being the capital of Argentina, Buenos Aires, is the hub of luxury and leisure, converging the diverse cultures of the world in one city. BA amalgamates frantic nightlife with a cosmopolitan city, traditional lifestyle with chic designer outlets, street slums with sophisticated architecture, and fresh markets with top-notch activities. Mouth-watering steaks help you enjoy the zest of Argentina’s national festivals blooming at their best in the pleasantness of spring. Walk down Recoleta zipping on a delicious ice cream, shop around Palermo Soho, where you can find local designer clothes at extremely low prices, and chat with friends over a pizza and a pint of beer until 4 in the morning. On Sundays, visit one of the many ferias for artistic handcrafts or lively music, choose from ravioli or asado for lunch, and choose from a street tango show or one of the 10 soccer stadiums. If you go to El Caminito in La Boca, you can choose both. You haven’t experienced a soccer match until you visit La Bombonera! 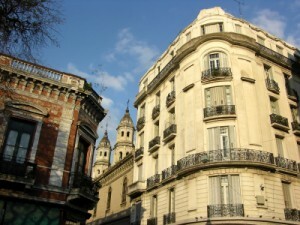 Buenos Aires is a great destination for teaching English. An advanced TESOL certificate such as TESL Canada, Trinity CertTESOL, or CELTA is highly recommended. Experience the joyful walk of flapping penguins, breath-taking beauty of lush Lake District, Andean Deserts and Argentina’s exclusive national festival sprees. Tip-toe to the highest peak, dwell in the epic display of the fall leaves or lose yourself in the spirited tango mix, it is an heaven on earth. 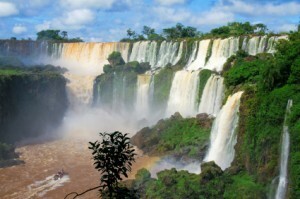 Argentina offers a magnificent experience to those who wish to TEFL in South America! With the versatility of climatic and topographical features, Argentina offers rare leisure for those who love food, the Spanish language, hiking, soccer, or watching national parades all year round. From becoming a shopaholic of best designer wears to dancing the weariness away in night clubs, sunbathing on the beaches of Atlantic Sea, and enjoying the fling of metropolitan cities, there is every genre of entertainment lurking in its streets. https://tefl-jobs.ontesol.com/wp-content/uploads/2015/03/ontesol-logo1-300x137.jpg 0 0 Ontesol- Online TESOL Courses https://tefl-jobs.ontesol.com/wp-content/uploads/2015/03/ontesol-logo1-300x137.jpg Ontesol- Online TESOL Courses2011-08-18 21:03:112014-12-11 11:15:22TEFL in Argentina!